The working of Steam Engine. Find out how Steam engine work. In early 19th century the railways were dominated by the Steam Engines. It worked on a very simple technique & principle. Find out how by purchasing this fun & interactive educational product. It is an all-metallic construction model showing metal cylinder in section cut and is covered with a glass plate. 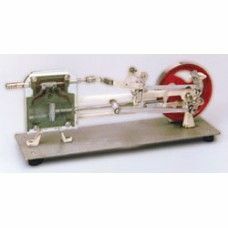 Complete with working parts like piston, slide valve, link motion and reversing method can be demonstrated. The movement of the wheel is very smooth to demonstrate the working even by blowing from mouth. 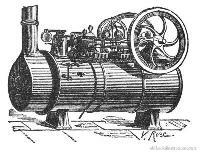 Locomotive design, sectional, the valve and piston mechanism clearly visible through a glass plate with forward and reverse motions, demonstrates working with an air blower or even with mouth blowing. 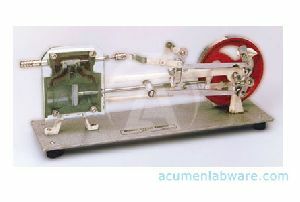 MODEL OF STEAM ENGINE Locomotive design showing cross section of the piston and sliding valve as positioned in the steam chamber (Cylinder), clearly visible through air tight glass plate with forward and reverse motion, smooth enough to demonstrate working even by blowing. 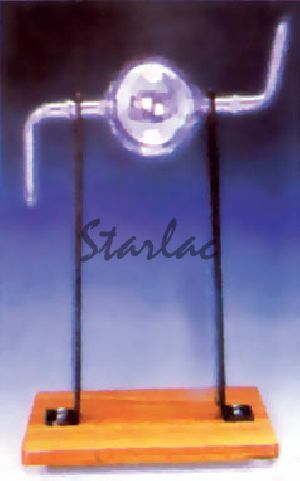 Other parts are also clearly visible such as crankshaft, valve control, drive wheel etc. Mounted on heavy metal base. 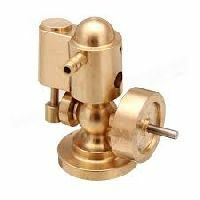 We are offering single cylinder steam engine prototype working model. 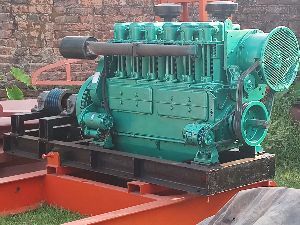 Eicher Engines (a Unit Of Tafe Motors &..